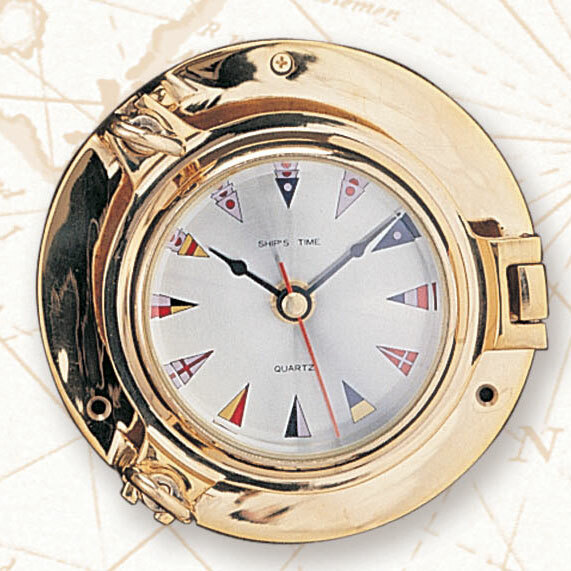 An excellent full size Ship's Time precision quartz clock mounted in a very heavy gage solid brass porthole. 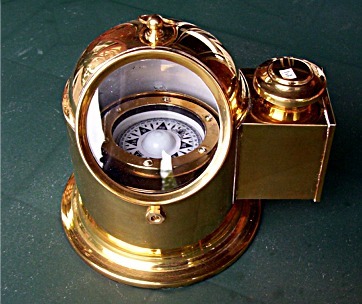 Porthole opens to change the battery and for that authentic look. 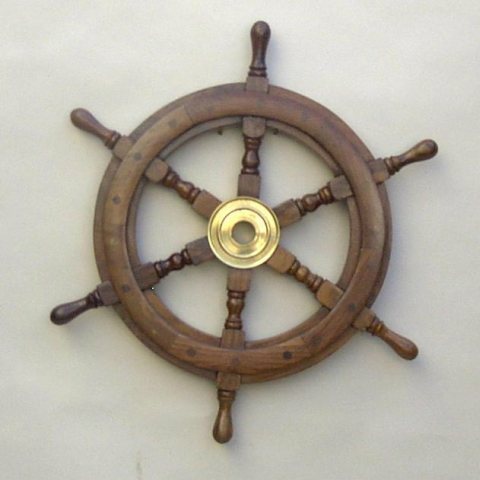 An excellent addition to every nautical decor on any boat or ship or at home or office. 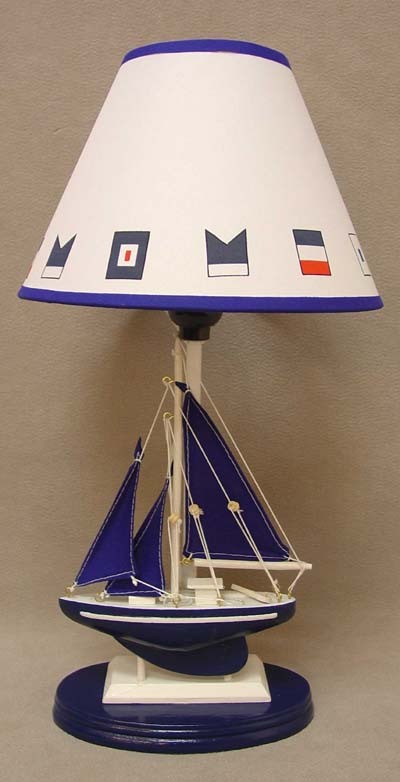 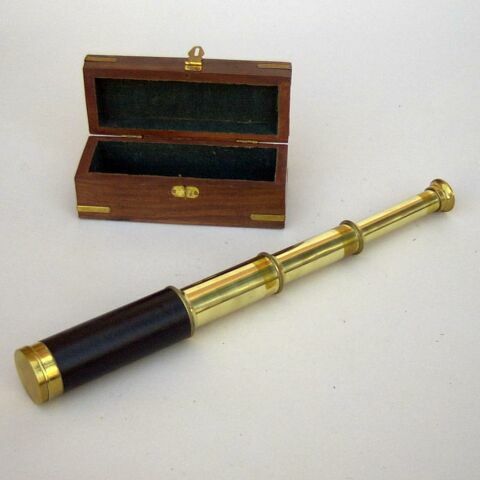 Also makes a great gift for the nautical enthusiast or sailor on your gift giving list. 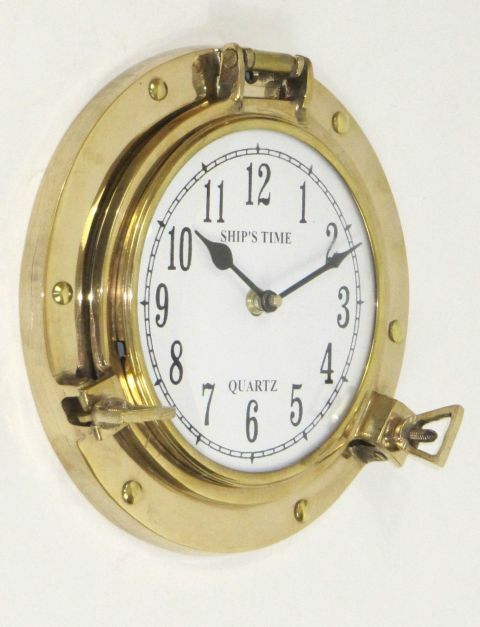 Solid Brass Professional Marine Clock. 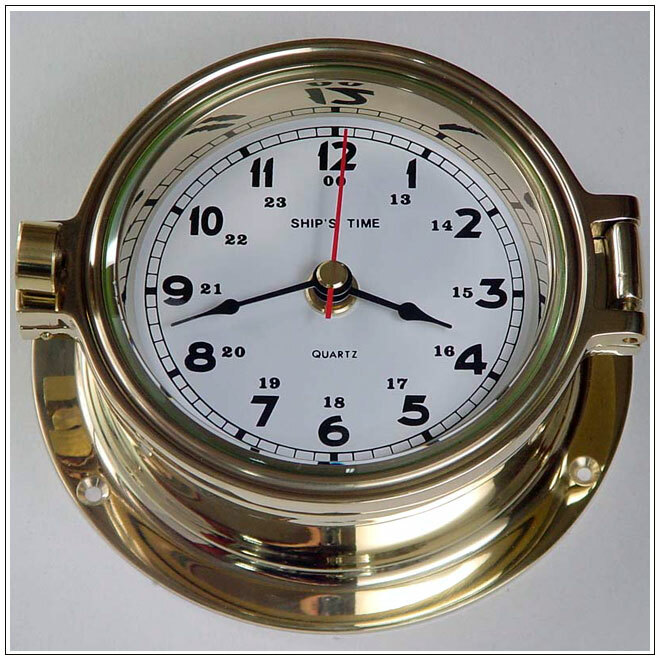 Professional grade precision brass marine Ship's Time 24hr marine clock. 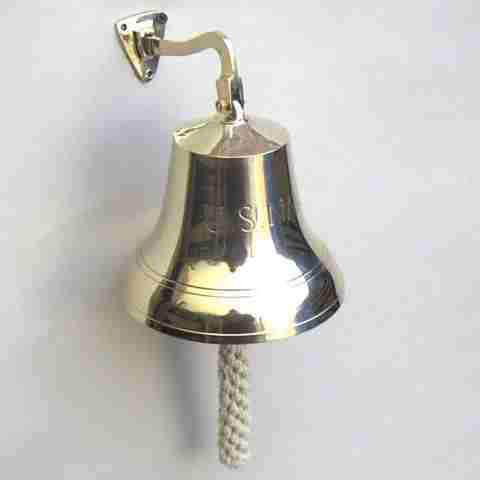 You will find these clocks on the bridges of tugboats and cruise ships. 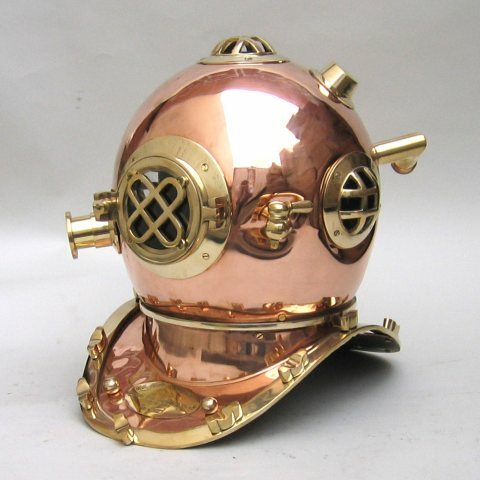 A must for the serious sailor.